Few of us have occasion to think of the duties that go with crime scene clean-up and biohazard cleaning, and that is a good thing. Those of us who have spent years in the industry and are committed to this important work, however, think about it every day. The sad truth is that our industry is filled with less than qualified janitorial companies, franchise restoration companies and even carpet cleaners and maid services for whom biohazard cleaning is a job filler. This is a travesty, because few businesses require the amount of practical experience ours does to do the job right and with integrity and respect. What should you look for in a biohazard crime scene cleaning company? Experience is the most important asset any company can have in our industry. As a company that has been in business since 1985, BIOPRO, LLC can say without equivocation that it takes a full 10 years of experience to completely understand how a crime scene should be properly cleaned. So how do companies with virtually no experience get away with saying they’ve been in the “industry” for years? Chances are they are talking about their primary industry. For example, a janitorial services company may have been in business for 20 years, while offering biohazard cleaning for just a few months. Companies such as these pull the wool over the eyes of not only consumers but also insurance companies that recommend them. Simply put, they have no business dealing with any crime scene. Many of these jobs are the result of a tragedy, one in which the family of the deceased is dealing in the moment with a great deal of grief. The last thing they need is a less than professional biohazard company to do an improper clean-up, costing the homeowner even more money. At BIOPRO, LLC, our reputation precedes us. We’ve earned the highest level of respect as an innovator in our industry. Our team undergoes extensive and continuous training, and completes each job using state-of-the-art equipment beyond the scope of most large corporations. 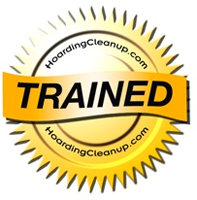 The credentials we offer and the results we’ve garnered set the standard for what you should demand in a biohazard cleaning company. BIOPRO, LLC operates in the most sensitive situations handling contaminated materials, and the fact that nobody does it better is not an accident. We won’t settle for anything less than excellence, and should the time come that you need our services neither should you.